Cyn: Here’s a fun fact. 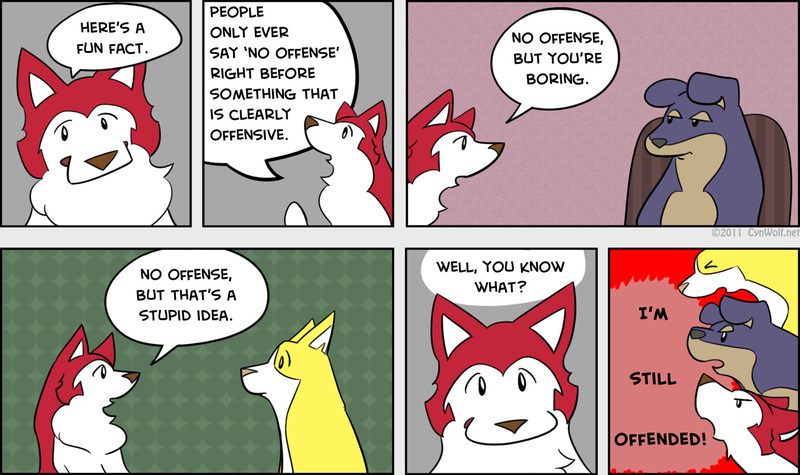 People only ever say ‘no offense’ right before something that is clearly offensive. No offense, but you’re boring. No offense, but that’s a stupid idea. Well, you know what? Bingo, Argent, Cyn: I’m still offended!